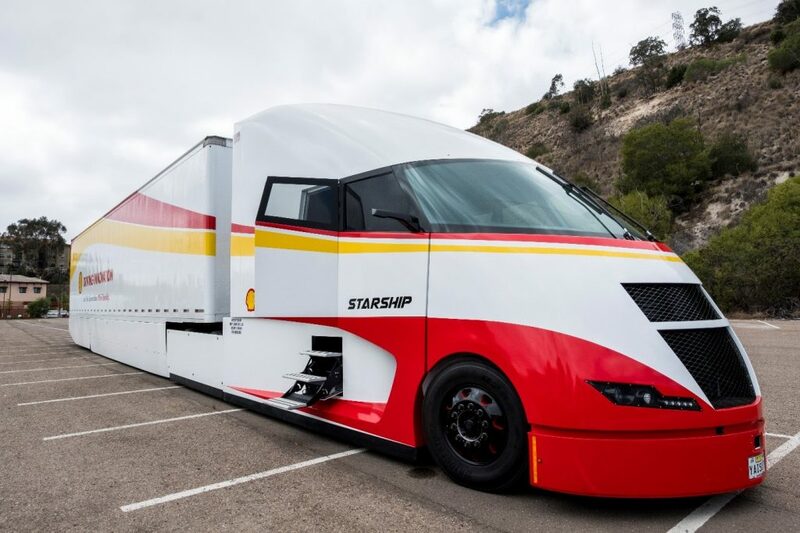 NOVI, Mich. — June 28, 2018 — Stoneridge, Inc. (NYSE: SRI) has partnered with Shell Lubricants and AirFlow Truck Company by fitting its MirrorEyeTM camera monitoring system on a hyper-fuel efficient truck, the Starship Initiative. With a goal of improved fuel economy for class eight trucks, innovative aerodynamic design and low CO2 emissions, the Starship Initiative has completed a drive across the country to demonstrate its fuel and freight-ton efficiency. Based on the North American Council for Freight Efficiency, the Starship truck attained 28.4% better fuel economy, averaging 8.94 miles per gallon compared to the average U.S. fuel economy of 6.4 miles per gallon for transport trucks. The streamlined, aerodynamic design of the truck was amped up with the addition of MirrorEyeTM in lieu of traditional, bulky side mirrors. Stoneridge’s MirrorEyeTM mirror replacement system not only improves safety by diminishing blind spots, but can also allow for the removal of side mirrors altogether to achieve a more streamlined and fuel-efficient vehicle. MirrorEyeTM is an innovative camera monitor system that replaces a truck’s mirrors with integrated external digital cameras and digital monitors inside the cab of the truck. This provides the driver with enhanced vision in most operating environments where it is difficult to see with traditional mirrors. Benefits include blind spot reduction, full color night vision, trailer panning, expanded fields of view and a high definition camera and display technology. To learn more about Stoneridge and its product offerings, please visit Stoneridge.com. For more information on Starship and Stoneridge’s involvement, visit rotella.shell.com/starship.